The Realme 3 still offers good value for money, but it's not as impressive as some of the company's previous offerings. Mainly because it uses the same hardware a year later! In the past, I’ve described Realme phones as the Pocophones of the lower price bracket: basic devices with nothing to shout about, until you consider the price. For around $100, Realme has historically offered pretty much everything you really need from a 2019 phone without serious compromises. Previous Realme products have offered decent performance, facial recognition, NPUs, great screen-to-body ratios, dual lens cameras, AI tricks, and more. This is quite the laundry list for a $100 phone. You could describe Realme phones as being the Pocophones of the lower price bracket. But they haven’t been perfect. In particular, the Realme 2 was unique in that it actually marked a step down from the Realme 1: it had a better camera and battery, but it came at the expense of a slower chipset. The Realme 2 Pro came along and fixed that to an extent by keeping the new camera, upgrading the chipset, and adding a new glossy design. Then it countered those benefits by downgrading the battery. It looks like Realme is at it again. The Realme 3 offers a selection of upgrades, steps backward, and a couple of odd design choices. Does it do enough to still represent good bang for your buck in 2019? Let’s find out in this Realme 3 review. Let’s get the basics out the way first. The Realme 3 is sporting a Helio P60 chipset (though India will be getting the P70), either 3GB RAM and 32GB storage or 4GB and 64GB, and the option to add up to 256GB via an SD card. The screen is a 6.2-inch IPS LCD display with a 19:9 aspect ratio, 1,520 x 720 resolution, using Corning Glass 3 for protection. There’s a fingerprint sensor, a dew-drop style notch, and Micro-USB (yikes). The camera setup on the rear is the same as the Realme 2: that’s a 13MP f/1.8 and a 2MP dual lens, with the second existing purely for bokeh-type effects. The front camera is a 13MP shooter. The 3GB and 32GB variant is priced at 8,999 rupees (~$127) while the 4GB and 64GB variant will be priced at 10,999 rupees (~$156), but these prices only apply to the first million units. We’ll update this post with new pricing once the Realme 3 passes that threshold. The 3GB and 32GB variant is priced at 8,999 rupees (~$127) while the 4GB+64GB variant will be priced at 10,999 rupees (~$156). This phone is not flashy. To hold, the Realme 3 feels very plastic, very light, and very much like it has been molded from separate pieces and then stuck together. That’s an odd impression because according to Realme, the Realme 3 uses a unibody manufacturing process. The notch here is nice and small, though the edges are somewhat tapered giving it quite a “wide appearance. This helps achieve an 88.3 percent screen-to-body ratio, though there is still a slight chin down the bottom. The color gradient on the back of the device is quite attractive. It is black at the top, fading to blue at the bottom. There’s a nice curve to the back which gives it a little more hand appeal and makes it look more premium at a glance. This is a step up over the Realme 1 and 2, but it’s a significant downgrade from the Realme 2 Pro. Unfortunately, any goodwill this paint job earns is lost once you spot the Micro-USB slot. Yep, it’s still here in 2019, despite feeling dated even in the very first Realme device. In all honesty, this isn’t a huge issue for most people: practically speaking it won’t make much difference to the way you use the phone and you may well have plenty of Micro-USB accessories you can still use it with. There is also a headphone jack on the Realme 3 so at least your wired headphones will work as normal. The buttons also feel a little cheap, particularly the volume buttons. Haptics are better this time around; vibrations are far less loud and jarring, and while that might not seem like a big deal, it does make the device feel less cheap. 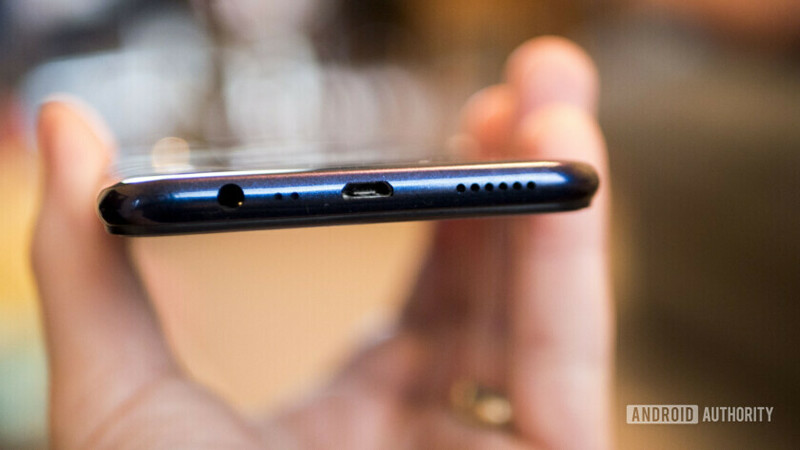 The Micro-USB slot is still here in 2019, despite feeling dated and out of place in the very first Realme device. Audio on the Realme 3 is still very tinny, sounding very much like it “came from a phone.” Still, I’ve heard worse at this price point and it will do for watching some quick YouTube videos – you just probably won’t want to settle down to any Netflix. In terms of performance, the phone relies on the middling 12nm Helio P70 in India, and the slightly more middling P60 around the rest of the globe. This is a strange decision, seeing as the Realme 1 also sported the Helio P60. It’s not good that we’re seeing the same chipset here as the two-generation-old Realme 1. It’s also a fairly significant step down from the Snapdragon 660 found in the Realme 2 Pro, so if you want better silicon you’d better hold out for a Realme 3 Pro. The processor is backed up by the Mali-G72 MP3 GPU, which is sufficient for basic gaming, but is certainly not top spec by any degree. A Mali GPU lags behind an Adreno at the best of times, and this is their mid-range offering from a while back. As with previous Realme phones, the Realme 3 is not going to run high-performance games as well as phones with a Qualcomm chipset. Unfortunately, the global version of the Realme 3 uses the same Helio P60 chipset as the original Realme 1. One thing this chipset has going for it is its NPU. 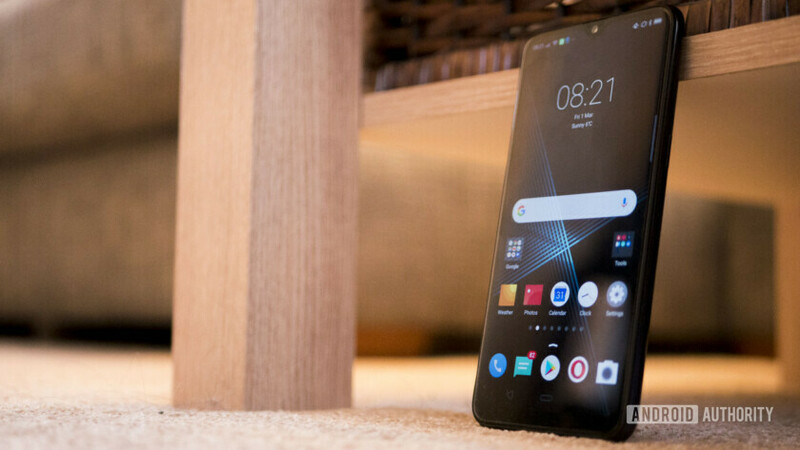 The P60 was interesting when it launched because it packed AI smarts into a relatively affordable package. To Realme’s credit, all these devices have featured some of the fastest face unlocking I’ve ever used — far superior to more expensive devices from the likes of Samsung, in fact. The fingerprint sensor also does its job well. Using the Realme 3 on the daily, you’re not likely to encounter many issues. It runs relatively smoothly, with only the occasional hiccup to let you know it’s powered by older tech. If you’re not planning on pushing it too far, then you likely won’t run into any trouble, just be warned. This is something I want to hammer home, and it’s what is still impressive about the Realme line. Other phones at this price point can feel like an absolute chore to use, with apps taking ages to load and others being entirely unsupported. That’s not entirely the case with the Realme 3. It’s not a workhorse by any stretch and there will be times where you have to wait a second for the keyboard to pop up, but it isn’t a massive headache. Other phones at this price point can feel like an absolute chore to use, but that's not the case with the Realme 3. Compared to the Honor 7S, which costs a similar amount but wouldn’t even play some 2D games (and lacked a gyroscope! ), or the Nokia One which runs the watered down Android Go, or Nokia 2 with its Snapdragon 212 processor and 1GB of RAM, the Realme 3 comes up smelling like roses. Again, it’s not perfect, and it sometimes leaves you hanging. The primary problem is that the Realme 3 is slower than the Realme 2 Pro, which you will likely be able to get for a similar price now. What makes things worse is that the 3GB of RAM and Helio P60 found in the base model global version of the Realme 3 is no faster than the Realme 1. In short, Realme set a decent benchmark for what ~$100 phones should be able to do, but is now failing to live up to its own standard. Realme set a decent benchmark for what ~$100 phones should be able to do, but is now failing to live up to its own standard. There is one aspect of Realme 3 performance that is impressive, however, and that is battery life. The Realme 3 has a 4,230mAh battery, which, combined with Android 9 and a low-res display, is going to give you some serious longevity – under normal usage you could very easily get well into a second day on a single charge. This is the same battery we saw on the Realme 2 and it’s just as impressive here as it was on that phone. Android Pie has Oppo’s ColorOS version 6 on top. I’m not a particularly big fan of ColorOS, as it doesn’t bring all that much to the table in terms of additional features, but there is a lot of visual customization. For example, the notifications shade is very heavily modified with a grey gradient and large colored icons. By default, navigation is handled by two on-screen keys and a swipe gesture for multitasking. I find that a strange combination, but thankfully it can be changed in the settings menu. There have been one or two odd glitches in my time with the phone. The app drawer and home screen would sometimes show blank spaces where there should be an app, and once or twice I picked up the device to find it had completely restarted. Some settings can also be a hassle to find if you’re used to “regular” Android, but you’ll adapt soon enough once you start using the Realme 3 regularly. The Realme 3 camera is a very average affair. It scores points for not being terrible, but you aren’t going to want to enter any photography contests. It mainly suffers from a lack of detail, which can occasionally be exacerbated by poor exposure settings. The result is that objects in the background can look kind of fuzzy and washed out. There is a little AI scene recognition, though it doesn’t always seem to correctly identify what is going on and correct it. The Realme 3 delivers a few camera features and modes, including an expert mode, time-lapse, slow-motion, panorama and beauty mode. The two features that Realme seems most keen to talk about are the nightscape mode and chroma boost. Unfortunately, low-light photography is nothing to write home about. The chroma boosted photos are likewise indistinguishable from their boost-less counterparts. AI scene recognition suffers from the same issue, and is pretty hit-and-miss when it comes to correctly identifying what’s going on in the shot. Update, March 12, 2019 (13:42PM GMT): After an update I’ve been able to trial the nightscape mode properly. It is perhaps more impressive than I gave it credit for, though still a little underwhelming. Clarity is significantly improved but at the expense of a lot of extra noise and blur; and it takes a couple of seconds for it to work. Essentially, this is just a longer exposure with all the pros and cons that brings. It’s somewhat impressive what can be squeezed out of this lens set-up, but it’s nowhere near competing with the Pixel or Samsung. Think of it more as bringing the camera up to par, rather than doing anything truly exciting. And keep in mind that as a software update, there was nothing stopping Realme from bringing this same feature to the Realme 2. You can find the full resolution camera samples here. What’s more impressive though is the front-facing camera. It still isn’t an outstanding shooter, but its 13MP resolution means it is just as detailed as the primary lens. It’s an upgrade from the Realme 2 (which came with an 8MP selfie camera) but it is the same as the Realme 2 Pro. Those looking to take lots of photos of themselves will be happy with this inclusion and might also find use for the beauty mode. Video is available in 1080p or 720p from both sides, but it isn’t particularly reliable due to the poor autofocus and auto-exposure, and lack of stabilization. Slow-mo will only push the framerate to 90fps at 720p, so don’t expect iPhone or Galaxy-level results. If you calibrate your camera expectations against other phones in the Realme 3 price bracket, you’ll know what to expect. I feel like I’m being a little unfair to the Realme 3. I’ve used other sub-$200 phones, and they can be really rough going. The Realme 3 is not that; in fact, it’s not even bad. Realme really is the Pocophone of this price bracket. But at the same time, the Realme 3 is a weird successor because it fails to upgrade on most of what’s come before. The global chipset is the same as the Realme 1 and less impressive than the Realme 2 Pro, the camera setup is identical to the Realme 2 Pro, the design is a step backward from that as well. There’s actually nothing entirely new here. Even if we entirely dismiss the Pro for a moment, seeing as that is a different product line, there are precious few reasons to buy the Realme 3 over one of its predecessors. The Realme 3 is a weird successor because it fails to upgrade on most of what’s come before, even if it is still quite good. Unfortunately, the Realme 3 also fails to address any of the complaints we had with the previous models. Even just putting a USB-C port on the Realme 3 would have made it feel significantly more modern, and a bump up to a 1080p display would likewise be very welcome. I just don’t really see the point in the Realme 3, and if you were to ask me what the best phone at this approximate price point was, I’d say it was the Realme 2 Pro by a decent margin. The Indian variant of the Realme 3 is a little more appealing thanks to the P70, but I still don’t know if that’s enough to warrant launching another new phone so soon. Apparently, there’s a Realme 3 Pro in the works, which might explain some of the odd decisions here. I’d personally recommend holding off until we know more about that before spending your money on the Realme 3 and if you can’t wait, take a serious look at the Realme 2 Pro instead. What do you think of the Realme 3?